MANCHESTER AND SALFORD is an ex-RNLI rescue boat, built in 1924 at a cost of £8456 which was funded by local donations. 25,000 people attended her naming ceremony on 20 June 1924, when she was the first lifeboat to travel up the Manchester ship canal. She was constructed of Honduras mahogany on oak frames with Canadian Rock elm and was copper fastened. 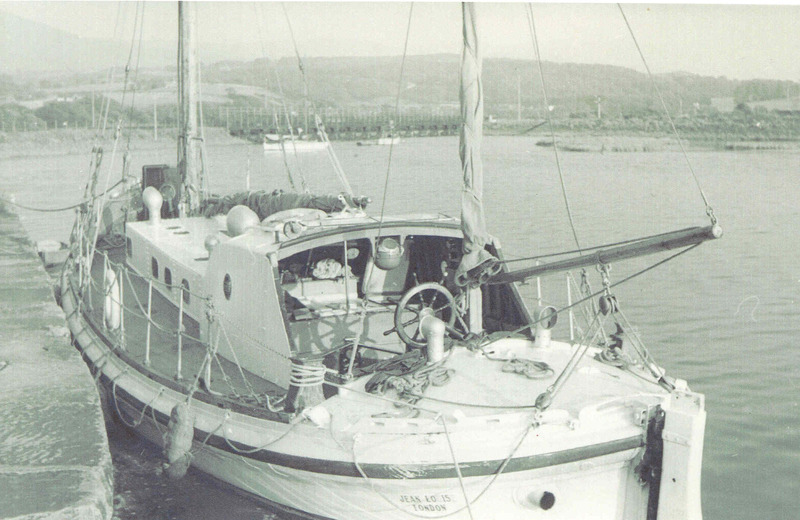 She had two masts with a large sail area and drop keel and an 80 bhp Weyburn DE6 petrol engine. Her speed was nine knots at 800 RPM with a 24" x 22" propeller. A radio was fitted in 1938. MANCHESTER AND SALFORD was stationed at Douglas on the Isle of Man until 1946 when she went into the relief fleet. She remained with them until 1956, serving at Islay, Barra Island, Campbelltown and Stornaway. In total, she was launched forty times and saved thirteen lives. Ten years ago, MANCHESTER AND SALFORD fell on hard times and was abandoned at Deganwy where she washed up on the beach. She was re-possessed and then rescued by the current owner. A major restoration project is now underway to rebuild her from the keel upwards.